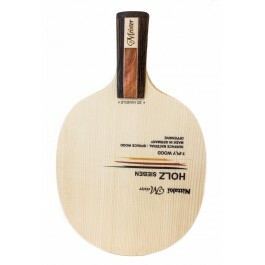 Nittaku Holz Sieben is a 7 ply all wood blade. 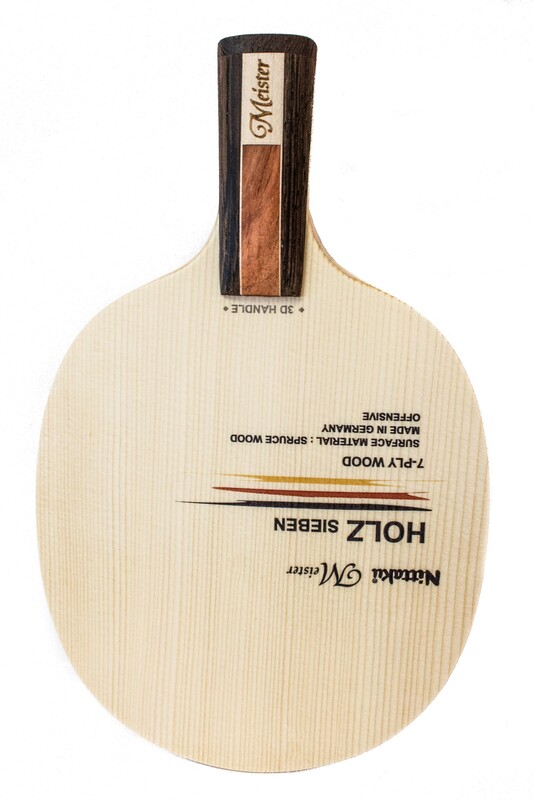 Part of the German Meister series, the technology and technique of cutting and adhering the wood brings its performance to a new level, producing the same power as a carbon blade. Made in GERMANY. Both speed and control are good. It will be a good choice. I like the feel, sound, and the make of this blade. The one that I use is a penhold and the only complaint i have is that the hitting surface seemed a little too long and bigger than some of the shakehand blades. Very good price compared to others.